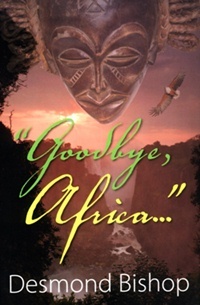 Goodbye, Africa (ISBN 978-1-60911-149-6, Eloquent Books, 2009) arrived on the reviewer’s desk directly from the author Desmond Bishop, but immediately produced a conundrum. Half of the back cover deals with the ‘hero’, a Raymond Spencer, whilst the lower half details the ‘author’ Desmond Bishop. A quick flick through the book showed that indeed the main subject was Ray Spencer, but a copy of press clippings referred to Desmond Bishop. Were they one and the same? An internet search showed that this was the case – but I should not have had to do this. Please correct this in the next print run to stop the confusion, especially as the boy Raymond has a chum called Desmond! The book begins as almost a travelogue for those wishing to experience Africa and its wildlife. Having decided to go to Zimbabwe, Raymond (Desmond) wants his children to see the unspoiled land where animals roam free, unfettered by human existence. This brings him and his children into close encounters of the wild animal kind, including charging bull elephants, crocodiles and hyenas, all of which mean that sometimes the humans have to take refuge in trees. The description of trying to sleep on the upper storey of a tree is almost comical slapstick, but believable considering the circumstances (generally lions don’t climb trees). Like so many of us, Raymond/Desmond looked at all the wrongs within our various societies, and had ideas that we could change the way of the world. For someone in Southern/Eastern Africa, there were plenty of iniquities to be righted, and Desmond’s part in this crossed all the ethnic boundaries. All very noble – at the time. Unfortunately, the saviors of society, in his eyes, eventually showed they had clay feet, as is usually the case. Robert Mugabe being a prime example. The second part of the group goes back to the time between the 1940’s and the 1960’s. This takes the reader back to the colonial days with black servants de rigeur. It was a happy time for those in fortunate circumstances, but not everyone shared in them. The author describes the act of growing up, and how inadvertently adults can destroy the emotional wholeness of a child. Attempting to instill adult values in formative minds is not always successful. Similarly, in those days, teachers could humiliate young children, without even knowing they were doing so. The world seems to understand child psychology a little better these days (even if the world isn’t a little better). The slow and painful trip into maturity is also described, as Raymond’s father becomes less of the hero and more of the antagonist. 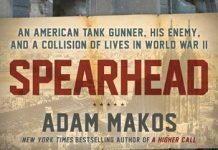 The book then meanders into his teenage years and his increasing interest in the theatre, which of course was something that did not meet paternal approval. The pace picks up a little too quickly as Raymond goes to university, and then to the UK and back to South Africa and a director’s post with local TV. An interesting book, with a message, but wanders perhaps a little too much. A good insight into African politics for $17 and both personal and international development.